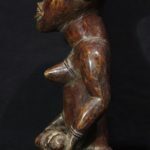 Phemba, also known as Yombe maternity figures, refers to sculptural objects that depict the figures of a mother and child. 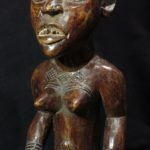 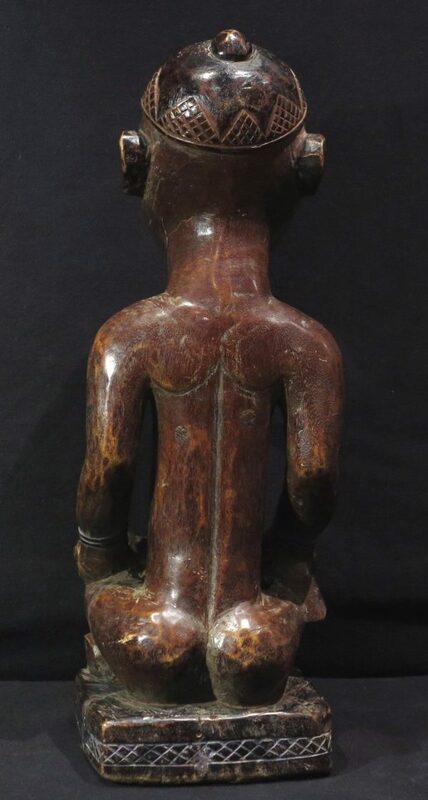 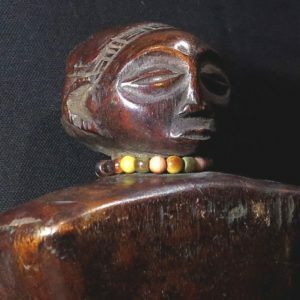 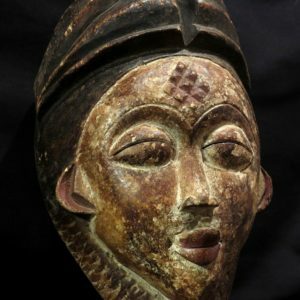 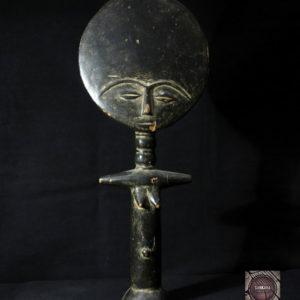 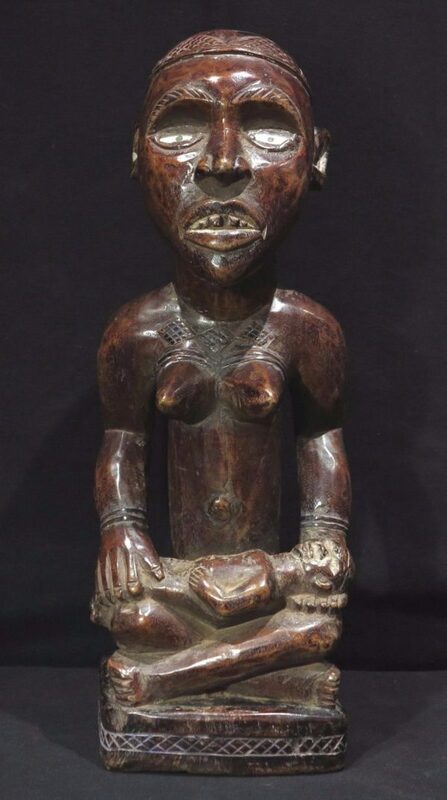 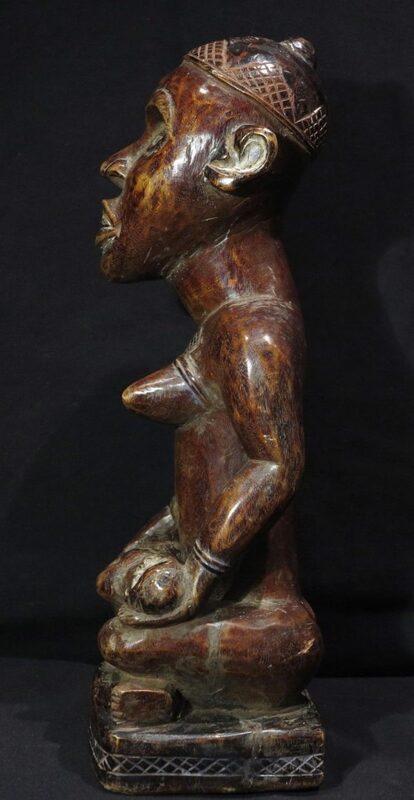 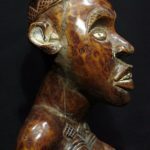 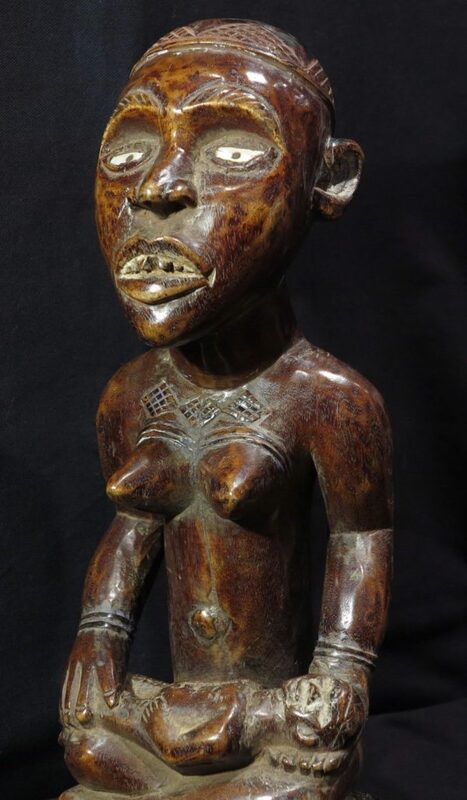 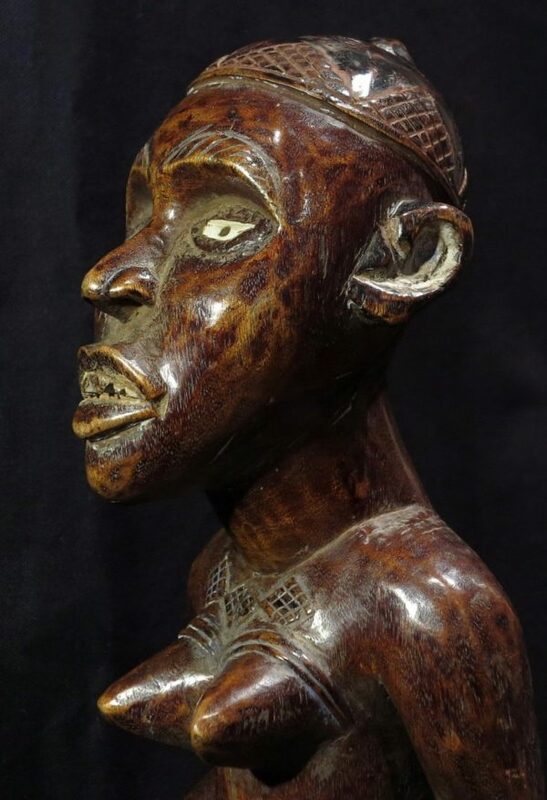 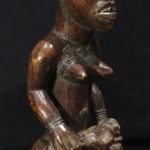 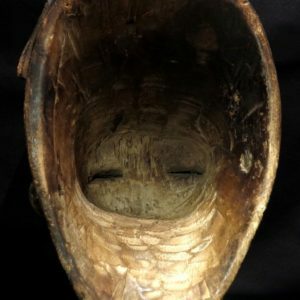 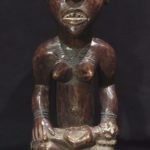 Phemba are iconic examples of Kongo art and reflect the degree to which women are treasured in Kongo culture, not just for their fecundity, but as seers and guardians of the spirit. 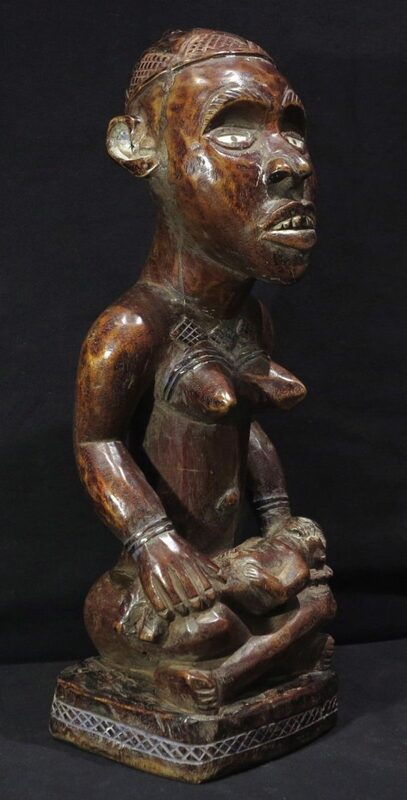 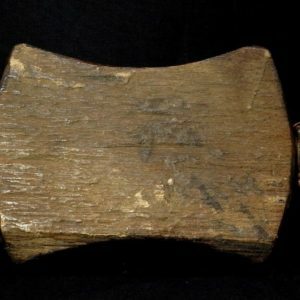 Kongo societies trace their descent through the female line of ancestors. 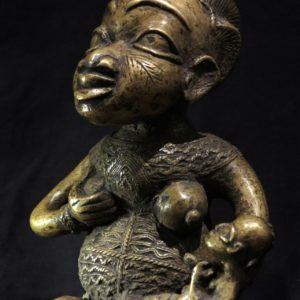 Phemba statuary falls into two groups: mothers cradling or holding their babies, and mothers nursing. 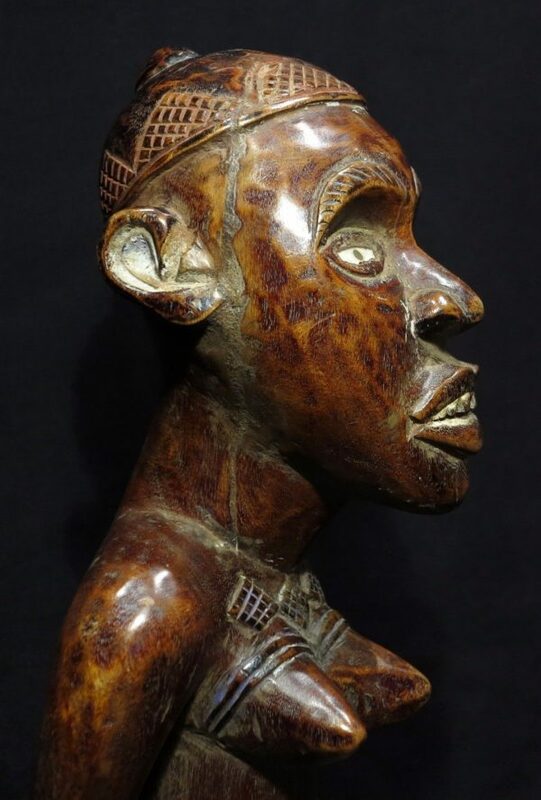 The Kikongo word phemba denotes, in anthropologist John M. Janzen’s words, ‘the one who gives children in-potentia. 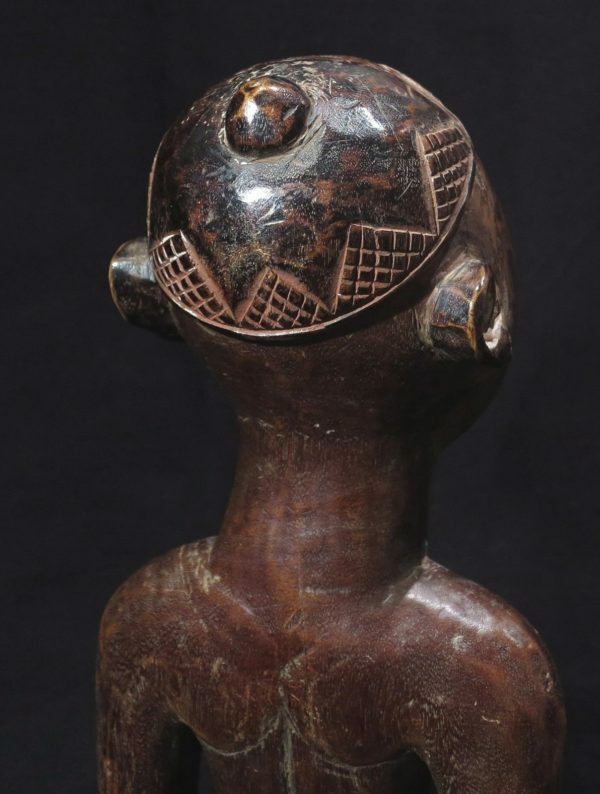 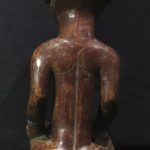 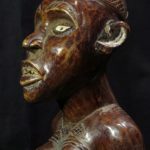 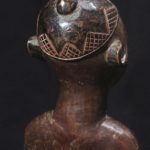 A phemba child is a magically conceived nkisi child, a fragile emissary of the spirit world.” The very different styles of phemba sculptures illustrate regional and even personal variations on the same theme.